Observing human cells is a good introductory activity to learn heat-fixing and staining. A counting ĉamber (hemocytometer) can also be used to calculate the size of cells. 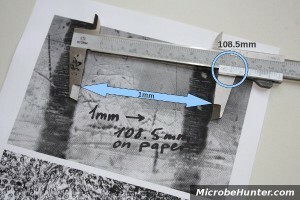 Here is an instruction on how to calculate the size of cells using a microscope. Cutting a carrot with a hand microtome. 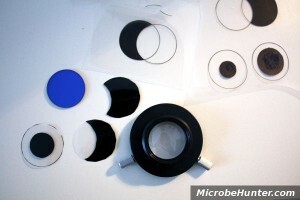 In this post I’d like to show you a method of making patch stop and color filters using a printer.